I know I said in my book lovers problems post that movies are never better than books, but... sometimes they are, for various reasons. I have only come across a few, but I thought I would share them today. You guys know I love this book / TV series but I forgive you if you forgot because I haven't mentioned it in so long, and for a bit there I was using that gif every day. What this one that isn't even in the book? Anyway. The book is good, and I loved it, but yeah a little bit of me likes the TV series more. 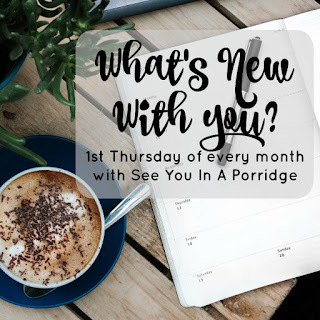 The book was written awkwardly because it was originally written as a weekly series, and there are parts that are excruciatingly boring and hard to get through, and the ending is kind of rushed and abrupt. But I still love it for what it is. The book and the movie have some similarities, but they are almost different enough to stand on their own. I saw the movie years ago and didn't even know it was a book - I read the book a few months ago, and while I really enjoyed it, I personally prefer the movie just a little. I love this movie, and when I heard it was a book I couldn't believe I hadn't read it. But there's a reason it's not as well known. It's like the guy who made the movie made it into everything it could be, but the book fell flat. I was so disappointed because I really love the movie. I don't think I have ever said that about a Tim Burton movie, but there you go. When I found out this was a book, I went straight out and got it. It was the first time I ever remember thinking the movie was better than the book. I just didn't like the writing, and nothing can compete with Meryl Streep anyway. Just hear me out. I love LOTR. A lot. I have a freaking elvish tattoo on my neck, ok? But I think the movies made LOTR more accessible to the world, most people would not pick up the books as they can be quite daunting. Note: The Hobbit is not included. Also, because I had the biggest crush on Viggo Mortenson when I discovered the movies. I mean, who else can open a door like this? If you haven't read or seen this, spoilers. An unhappy ending after a tragic chain of events for these characters, in both book and movie. While both left me feeling a little hollow in the end, I enjoyed the movie a bit more where the book fell flat. Plus, I just love Keira and James. I just prefer the movie. I enjoyed the book immensely, but I like the movie more. I mean, Ryan Gosling and Rachel McAdams were perfect, in my opinion. Just kidding, just kidding. Oh my gosh, kidding. I still think one should read the book before the movie, because it can help you understand the characters more. I don't even mind when movies have to cut things out, especially when I've already read the book because I feel like I know something that the rest of the audience doesn't. But sometimes the movie can be better than the book. Sometimes not necessarily better but perfectly acceptable works of art in their own right. But most of the time, books are better. Can you think of any movie you preferred over the book? I totally agree about Big Fish and The Devil Wears Prada. And as for the Harry Potter series, I couldn't choose between the books and the movies. The books are AMAZING but I love getting to see everything on screen. Oh and I still haven't seen the Notebook... whoops! For me, Gone Girl the movie was better than the book. I know there's a lot of differing opinions about that, but I stand by it. For several of these, I never read the book...because they are really my kind of books (like The Devil Wears Prada and The Notebook). The movies, I loved, so I'll just take your word for it and pass on those books. Shawshank was definitely better as a film than the original Stephen King short story, in my opinion. I remember being really disappointed by that! 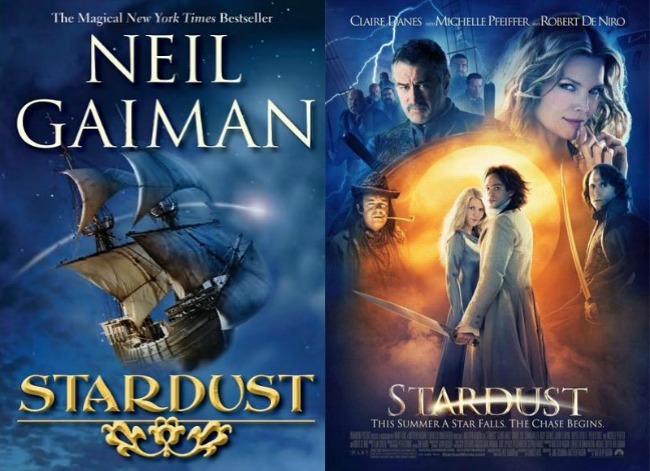 I had no idea Stardust or Big Fish were books, but based on your recommendations maybe I'll skip them...! Stardust - agree! I watched the movie first, but still, the story felt more fleshed out to me. And I liked the satisfying, tidy ending where they showed us all the details about how things got wrapped up. The book felt more abrupt to me. 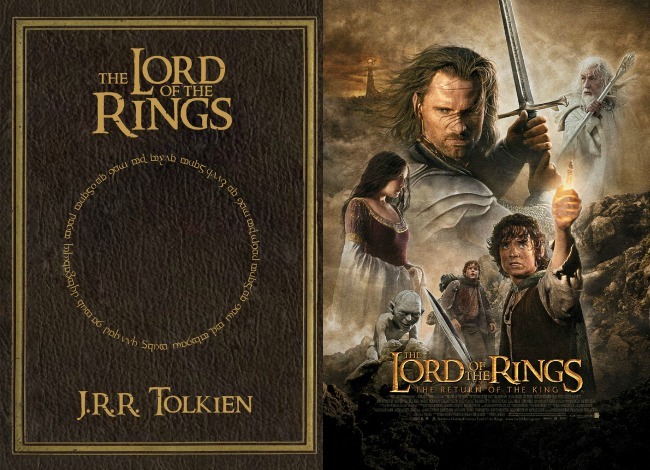 Lord of the Rings, I like the books but the movies did a really good job, so I don't have too many quibbles with them. And I agree with your point about the movies reaching a much larger audience. I agree with The Notebook one. 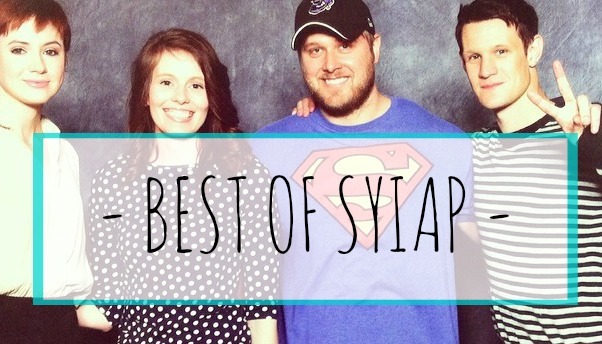 It was the first and last Nicholas Sparks' anything that I enjoyed. I liked the movie The Devil Wears Prada and I think Gone Girl the movie was just as good as the book (the book was really long for what it was). 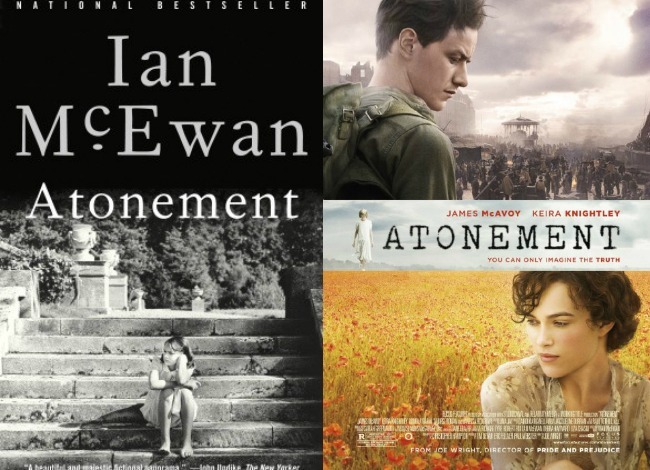 The Atonement movie was so depressing that I would probably never consider the book. Netflix is always showing me North and South. Maybe I'll try it! Oh, I just watched half of If I Stay the other night because a kid was reading the book (yeah, a 9 year old) and wanted me to read it. I wasn't a huge fan of the book and the movie seemed better put together (if not terribly boring). I thought for half a second that you were serious about the HP series! Whew. Glad you weren't! But there are things about those movies that they added in that weren't in the book that were so, so, so good and I'm glad someone threw it in. My heart skipped a beat when I got down to the bottom and saw Harry Potter. The books are insanely amazing reads, and carry so much more detail. But the movies bring it all to life, and I love that. I honestly love both equally! I didn't PREFER it over the book, but I do think that they did a really good job with The Cider House Rules. It's one of the few movies-based-on-books that I've seen where I didn't want to murder someone at the end for ruining a perfectly good book :) TFIOS was pretty good too in that regard, although I'm still bitter that they didn't film in Indianapolis. OH! And The Green Mile was a really good adaptation. That would probably be the closest I'd come to saying that the movie was better than the book. I agree with Lord of the Rings...I looooved the movies, but trying to read the books? Yea I just couldn't get into it. i have to agree with LOTR even though i loved the books and because orlando bloom (but only as legolas) and viggo mortensen. Tooooooooooooooooootally agree about DWP, the book totally fell flat where the movie was fabulous. And I liked the ending better in the movie, too! Meryl is amazing!!!! You know what, I saw all the movies before the books [by accident the first time] because I was a gulp, HP hater, originally. My sister was into the books when they first came out and I kind of pooh-poohed them. But, one day when I was sick I watched the first movie and thought it was sooooo cute and fun so I became a HP fan. I found that I didn't feel disappointed in any of the movies because I hadn't read the book yet, where some of my friends were sad they didn't have certain things from book to movie. For me, it was nice having some starting parameters with my imagination with the book, if that makes sense. But JK did such an amazing job writing the books, I'd say they were 'better' than the movies. But I love the movies, so! NORTH & SOUTH AND STARDUST! ahhhh. two of my favorites. I agree 150%, both movies were better. I have to admit, I generally don't watch movies based on books unless I haven't read the book. That sounds so crazy, but I don't like having the comparison in my head. Or the feeling of disappointment in the movie/book. Eek The Notebook! Book & movie are equally good! Have you read The Wedding? It's a bit of a sequel and it's amazing! I totally agree with you about Atonement, LOTR, and the Devil Wears Prada. The DWP was just too depressing compared to the movie (and like you said, the movie has Meryl Streep). And I always felt like LOTR was SO detailed which sometimes made the books hard to get through. Totally agree with you about Devil Wears Prada and The Notebook! The Harry Potter movies... I just couldn't do it! I saw the first couple and then I had no desire to see the rest - the books are just SO much better. 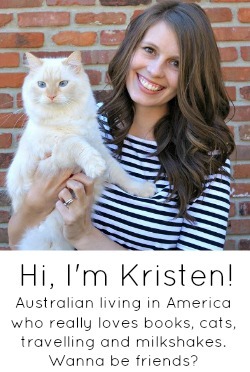 My favorite book is My Sister's Keeper and the movie was absolutely horrible. Like just terrible, I was so bummed! I was about to be like REALLY?!? with the HP mention. I had to force myself to finish Atonement. It was depressing and I didn't care/connect with it. I agree with you on LOTR. I loved The Notebook. That movie was seriously amazing and I agree, better than the book. I haven't seen the Harry Potter movies yet. I know...I know. But hey, at least I read the books! Loved Devil Wears Prada movie, got bored during the book and didn't finish. I haven't seen or read the rest of these....clearly I have some work to do! I liked The Notebook book more... He doesn't DIE in the end... I'm always for living :) It even led to another book with Noah. Glad you saved me some reading. Big Fish & Atonement are 2 of my fav movies. Yep... that man open a door for me like that any time!!! The only movie I think came CLOSE to a book is Catching Fire... I thought they did excellent on that movie but I can't think of anything I've read that is better then the movie. You've got my brain thinking. I definitely agree with Atonement. The book was much better. I disagree with The Notebook. I liked the book better, though I thought the movie was really well done. I would add The Hunger Games to this list. 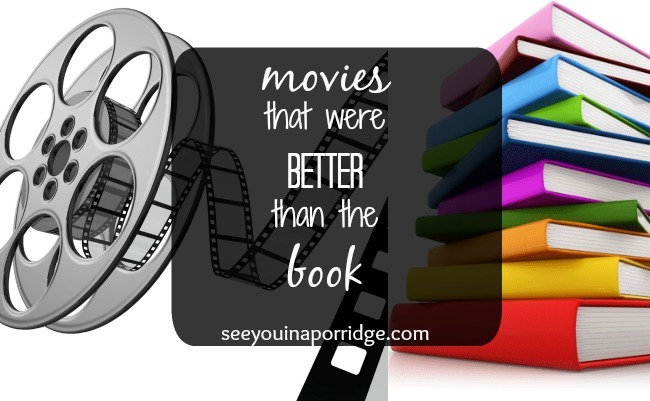 I hated the books, but I loved the movies! Ooo. Big Fish! I love that movie! You're right. It's not often that the movie is better than the book, but sometimes, an exception has to be made. I freaking love Viggo Mortenson and agree on LOTR movies. I haven't seen The Hobbit but it seems like most of the world agrees with you. 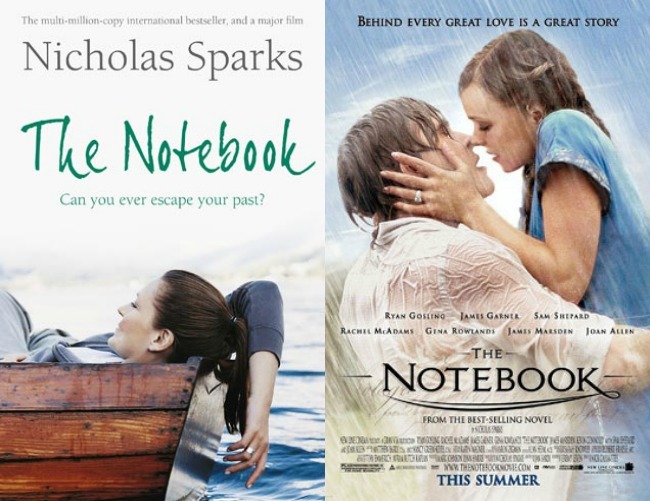 I hate Nicholas Sparks books but I don't mind the movies. I think The Cider House Rules movie was better than the book. Yes to Big Fish and Devil Wears Prada! LOTR to a certain extent. I love the books a lot but honestly watching the movies is a lot less work.....sometimes Tolkien took entirely too long to describe a scene and it leaves the reader a bit lost and bored. Show don't' tell! I totally agree with Devil Wears Prada and The Notebook. Laughed so hard when I got to Harry Potter! DEFINITELY The Notebook! I mean, the movie was just perfectly executed, and their chemistry was incredible. Confession - I hate the Notebook. HATE it. I am know I am the only woman on Earth that feels like that but I do. Haha! Totally agree with The Notebook! I enjoyed the book but Rachel McAdams and Ryan Gosling just made the movie magical! I haven't read the book of DWP but I LOVE the movie! I was like Harry Potter say whaaat?! haha, I was thinking, "She's gonna get some hate mail over LOTR." 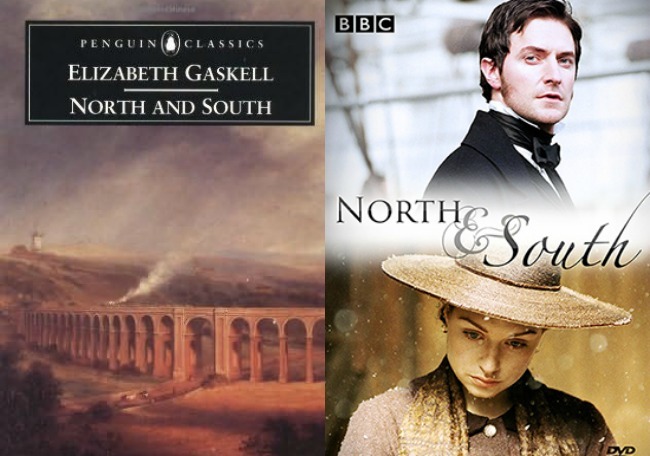 Is North and South on Netflix? I really like Wild better as the movie than the book only because the pace was a little quicker and the book lagged at times. Big Fish and Devil Prada were both really good. I still need to see North South, it's at my library. I've been wondering if I should watch BIG FISH for awhile now. you've just convinced me!!! And yes on the devil wears prada, that movie is great. love this post! i love all of these movies and have never read the books! I'm with you on the notebook as well! Along with Nicholas Sparks, The Lucky One, I thought the movie was better than book too. omg....the notebook.... best book to movie ever! epic! YES to Stardust! I love me some Gaiman and when he came to Pittsburgh (his first time ever!) a few years ago I immediately ordered tickets. ...that said, Stardust never clicked with me. I'm thinking I prefer his darker, grittier, more Adult novels than his YA. I've been audiobooking the Narnia books and gave up on the 3rd. I much prefer the movies. I re-watched North and South a little while ago. I thought of you in that scene!! I didn't even know that The Notebook was a book back when I saw it in theaters. Same goes for A Walk to Remember (which are both my faves by him - such classics!) I don't think I could ever read them at this point though... I'd say that PS. I Love You is better as a movie but maybe that's solely because of Gerard Butler. hehehe (so hot) :) I've never read the LOTR series but the movies are so so so good. I can't even watch the Harry Potter movies anymore... they are just not nearly as good. It makes me sad when people ask if they should read them. YES! They are 1 trillion times better! I watched 1-4 of Harry Potter and enjoyed them more than I expected to but I just sort of never watched the rest. My oldest son thinks that the Lord of the Rings movies are the best movies ever (except maybe the Hobbit). 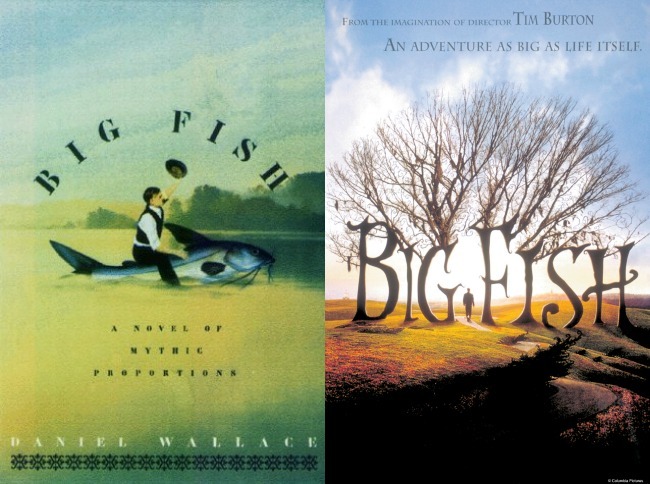 I wholeheartedly agree on Big Fish. That's one of my favorite movies ever, and the book was so disappointing. Devil Wears Prada disappointed me too. The way it ended, with her caving to everyone else's wants; annoying. I'd add Coraline to this list, too. I love Neil Gaiman, but that's my least favorite story of his that I've read. lmao when I got the Harry Potter part at the bottom I was like "WHAT?!" Don't scare me like that! I know I'm behind but I was shocked to see this come across my feed! I know I'm not an avid reader like you but I like when a movie character matches the character I have in my head. It helps me keep the characters straight! The movie The Lovely Bones was better than the book. And I thought the book was AMAZING! But to actually "see" Susie's heaven on the screen made it really really good. And I sobbed like a baby. A few other movies I thought were better were Gone Girl (I just couldn't get into the book) and The Girl With The Dragon Tattoo. 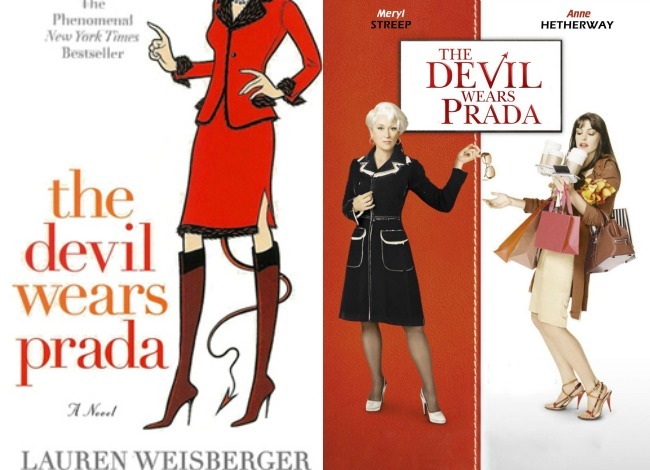 I was missing Meryl Streep so much when I read The Devil Wears Prada. It just wasn't the same without her.